The Wild40™ Seven Slot 3U OpenVPX Chassis is an OpenVPX-compatible chassis capable of accepting up to six 3U tall by 160mm OpenVPX Payload Front Plug-in Modules (FPMs) and one 3U tall by 160mm OpenVPX Switch FPM and up to seven 3U tall by 80mm Rear Transition Modules (RTMs). Plug-in Module slot spacing is 1″. The Wild40 Seven Slot OpenVPX 3U Chassis is equipped with a very high performance backplane which is capable of Serial I/O signaling at rates up to 10Gbps on the Data and Expansion Planes. 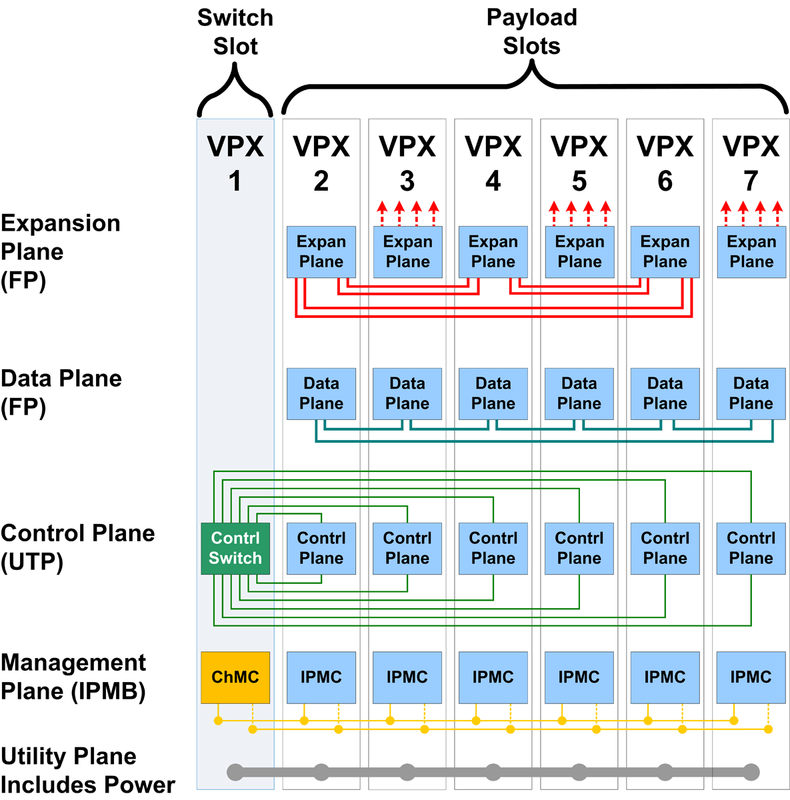 The Data Plane of the backplane is connected to adjacent slots with one Fat Pipe connection. The Expansion Plane is a 3 slot star with two Fat Pipes connecting slots. 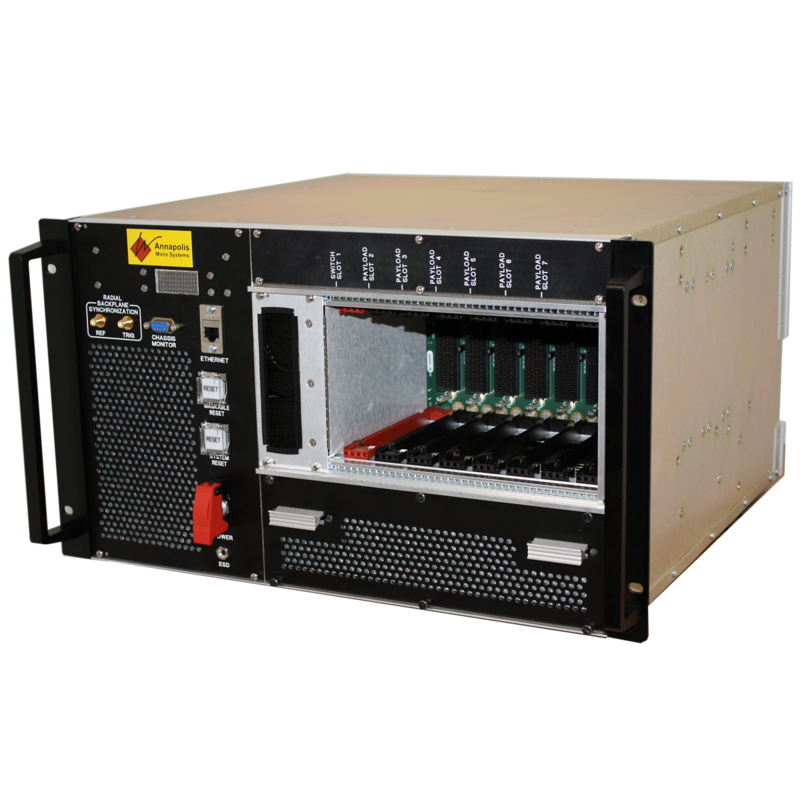 The Wild40 Seven Slot OpenVPX 3U Chassis includes a Chassis Monitoring system which displays DC voltages, slot temperatures and fan Revolutions Per Minute (RPMs) on the front panel of the chassis and can be used to set fan speed. The Chassis Monitor can be accessed and controlled remotely via the Serial or Ethernet interfaces. The card cage is recessed from the front of the chassis so that cabling can be used between Plug-in Modules and be contained within the frame of the chassis. See all of the Annapolis Chassis and Backplanes.